FRESH 12 Pack 12oz glass bottles of 4 different brands of Vintage American soda pop all made WITH PURE CANE SUGAR!!! 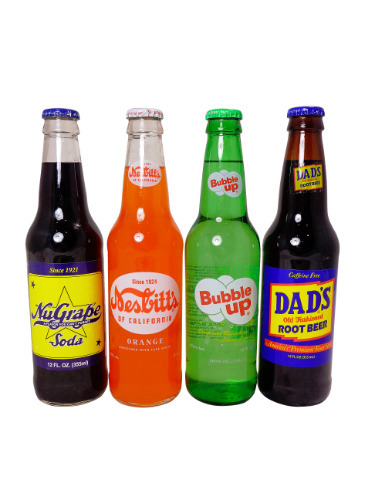 This 12 pack consists of 3 bottles each of the following 4 brands: Nugrape grape soda, Nesbitt's Orange, Bubble Up Lemon Lime and Dad's Root Beer. Great gift for the soda fanatic!! Or just enjoy yourself! !